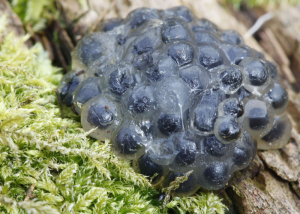 Observation - Frog eggs possibly - UK and Ireland. Description: Looked like frog eggs, right size and colour but not in a pond and no pond nearby in the woodland. Looked like frog eggs, right size and colour but not in a pond and no pond nearby in the woodland.